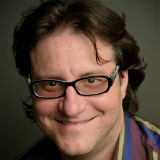 Brad Feld sold his Boston startup and moved to Boulder, Colo., in 1995. The city already had a bustling entrepreneurial community, and Feld was soon in the thick of things. He co-founded Mobius Venture Capital and, earlier, Intensity Ventures, a company that helped launch software companies. More recently, he co-founded two early-stage venture capital firms — the Foundry Group and TechStars — which provide seed funding and angel investors. A startup community has to tap its “natural resources,” he says. They may be physical, intellectual or cultural, and the combination is unique, he says in this Knowledge@Wharton interview. Feld is also the author of several books, including Startup Communities: Building an Entrepreneurial Ecosystem in Your City. Knowledge@Wharton: What does Boulder have in common with Silicon Valley? Brad Feld: Boulder is a great example of a place that has a very high concentration of startup activity, where many of the people in the community are involved in startups and startup company creation. That startup community, its density and the density of the activity causes interesting things to happen all the time. You can’t avoid it. Silicon Valley also has the same incredible density of startup activity. Boulder is much smaller — it’s 100,000 people. I like to joke that in downtown San Francisco, there’s probably a single building that the whole city of Boulder fits into. That’s powerful because it’s small enough to get your mind around it, but big enough for critical mass, and you can actually understand the dynamics of what’s happening. I’ve used it as a laboratory for understanding how startup communities get created rather than trying to dissect very large startup communities and figuring out what was actually happening there. Knowledge@Wharton: Coming back to the parallel with Silicon Valley, a number of places have tried to replicate the Silicon Valley model as a hub of entrepreneurship. How did Boulder succeed? Feld: Part of Boulder’s success was in deliberately not trying to emulate Silicon Valley. The first thing that any city that’s trying to create a startup community or an entrepreneurial ecosystem that’s vibrant should do is get rid of the idea that they’re trying to be like Silicon Valley. Silicon Valley has unique characteristics just like every city does, and every city and community should focus on their unique characteristics. They should learn from the things that have caused Silicon Valley to be such an extraordinary, entrepreneurial ecosystem. But they shouldn’t try to emulate it. Silicon Valley has been developing as a startup community for over 60-70 years. This notion that you can create something in two or five years is foolish. So, recognizing that it takes a long time, you have to go on that kind of journey. There’s a long list of strengths, but Silicon Valley has some weaknesses too. It’s important to understand the dynamics between that and how it applies to your own city, rather than simply trying to be like it. Knowledge@Wharton: So how did the startup scene in Boulder evolve? What were the main driving factors? Feld: There were four specific things that have caused the Boulder startup community to grow and develop. I moved to Boulder in 1995. The Boulder startup community existed before that. There were technology companies like IBM and HP in the region. I can speak from experience from 1995 to today. When I started thinking hard about this in about 2010 and looking backwards, I realized that the four principles were really simple. First is that the entirety of the activity was led by entrepreneurs. So, the startup community was fundamentally driven by entrepreneurs. Second, they had this long-term view. When I look at the leaders, it wasn’t that people selected the leaders. There wasn’t an election. It was just entrepreneurs doing what entrepreneurs do — creating things. When I look back to 1995, there were maybe a dozen people that I could point at today who were in that leadership role. Today, that’s probably 100. It builds over time; it continues to accumulate. The third principle is that everyone is inclusive of anyone who wants to engage at any level. [Meaning, that everyone is welcome to participate regardless of what kind of an organization they belong to.] So, there’s this notion that it’s not a zero-sum game. You’re not playing for winners and losers. The startup community is such a small part of the fabric of most cities that, if you want to think about it as a market share game, you’re getting market share against other things. Frankly, if the city is growing, it doesn’t even matter if you gain market share because it continues to expand. So, this notion of inclusiveness and non-zero-sum game approach is important. The last is the continuum of activities and events that engage the entire entrepreneurial stack: things that get first-time entrepreneurs together with experienced entrepreneurs, and investors and aspiring entrepreneurs, and people in big companies who want to work with startups. It can’t [just] be that you have an Entrepreneur of the Year award. It can’t be that you have a cocktail party where you network. You actually have to do stuff; the stuff is the company-creation process. So, [you need] accelerators like TechStars, where you have a concentrated effort around creating companies for 90 days or startup weekends, where you have 54 hours of simulation of entrepreneurship, where people who want to experience it can. Knowledge@Wharton: It sounds like entrepreneurship cannot be imposed from the top but needs to bubble up from the bottom. Is that accurate? Feld: Very accurate. One way to think about it is the collision between networks and hierarchies. I separate the world of startup communities into two constituencies — leaders and feeders. The leaders are entrepreneurs and the feeders everyone else. The feeders have a really important role, but they have a different style and dynamic. The government, academia, big companies, venture capitalists, service providers, the lawyers and accountants — these are all in the feeder category. Many of the feeder organizations are hierarchies; there’s a boss and there’s a hierarchy. Entrepreneurs have some hierarchy as they grow, but they’re networks. They’re these messy, sloppy organic things. The startup community is a network, where power is not a given or appointed. It’s a note; each person is a note on that network. The more they contribute and the more they intersect, the more powerful that note becomes. The challenge of most hierarchies is they don’t know how to deal with a network and the challenge of most networks is they get frustrated when they intersect with the hierarchy. Any entrepreneur knows how frustrating it is to try to work through big government or big company. Instead of thinking of it as anthropomorphizing government, take a person in government who is motivated to be part of the startup community and make him a note on the network. You intersect this notion of hierarchies and the networks. The other point that’s so important here is that hierarchies want to fundamentally control things. They want to impose structure, measurement, the way that things happen. That’s not how entrepreneurship works at the beginning or how a startup community evolves. So, the efforts to have these planned startup communities or clusters that are organized and managed by some function of government don’t work. There are a number of reasons, including time horizon. If you think that it takes two or three years to create a company, it’s foolish. It takes 20 years to create a company. Every now and then, something emerges in two or three years and gets bought for a billion dollars by somebody. But that’s the edge case. Most companies are 5-10-15-20-year builds. The startup community needs that kind of 20-year time horizon. Most feeder organizations function differently. Universities function in a one-year time horizon and I like to joke that they have summer off. The government functions in two-to-four year rhythms with an election year. So they’re functioning for one-to-three years, not 20. Big business has a quarterly, annual rhythm. So, you have to be able to transcend all the ups and downs in the shorter-term measurement when you’re building the startup community. Knowledge@Wharton: What’s the right way then for leaders to work with feeders? Feld: There are a lot of different ways. The most powerful thing is for feeders to figure out how to work with the leaders, which is bottom up again. I’m a venture capitalist. I like to say my job is to help and support entrepreneurs. I can play a leadership role, but my organization can’t be the leader. Within these feeder organizations, individuals who want to play leadership roles can. They become part of the fabric of the startup community and part of the leadership, even if they’re part of a feeder organization. Learning how to do that — to have a longer time horizon, to engage without near-term measurements to justify your activity — is super important. The opposite side of the coin is that the entrepreneurs have to be inclusive of those people who want to participate. This notion of inclusiveness is critical because the entrepreneurs say: “Oh, that person’s from government, he can’t be helpful.” You’re missing out on a huge opportunity. Or the big company. Forget about the big company. Find the individual who can engage and be that linkage on the network back to the big company. Knowledge@Wharton: Whether you look at Silicon Valley on the West Coast or Silicon Alley in New York, a lot of startups tend to be by immigrant entrepreneurs. This is understandable because immigrants have a high tolerance of risk. Without that, they wouldn’t leave home. Do you think that the immigration policy as it exists today helps or hinders startups? Feld: I think the immigration policy is a huge hindrance for startups in the U.S. I’m one of the original creators of the Startup Visa Movement, dating back to 2009. That came out of the frustration that a number of us had as entrepreneurs and investors. We were in a position where we had great entrepreneurs we wanted to invest in and who wanted to start their companies in the U.S. But they could not navigate the process to get a visa to be able to start their companies. These were Canadians, Europeans and people from Asia. When you dug into it, you realized how brain dead our immigration process was. There’s a second problem: We have these immigration policies where we encourage people to come to school to get educated here. We give them visas for that. But they can’t start a company; they can’t leave school and get an appropriate visa to start a company. So, it’s been a real hindrance. It’s accelerated as a problem because innovation is no longer a constraint. With the Web and the Internet and things like that, people can get educated anywhere in the world. The ability to understand the dynamics of creating companies has grown all of a sudden. [The reaction is]: “I’m not going to put up with that brain damage in the U.S. I’m going to go back to wherever I grew up and I’m going to start a company there.” And you’re seeing vibrant startup communities all over the world — in likely places like India and China, but also in unlikely places like Iceland. These startup communities are incredibly vibrant. The fact that the U.S. continues to have this block on some of the most innovative participants in our society is ridiculous. Knowledge@Wharton: Internationally, where are some of the most supportive environments for building entrepreneurial hubs? Feld: One that I talk about in the book (“Startup Communities”) is Iceland. A number of entrepreneurs in Iceland, after the financial crisis when the country literally imploded and went financially bankrupt, have restarted this creation process out of nothing. They just said: “Well, let’s go.” As a result, significant numbers of companies are getting created. There was an acquisition of a technology company recently by a U.S. company, so you’re seeing real things happening versus just the talk around it. Another place which surprised me is the U.K. There are a couple of things happening in the U.K. and this is a good example of how government can be very effective. There is an area of the U.K. now called Tech City where there is an incredible density of startup activities. It is being led and driven by entrepreneurs. But the government is shining a bright light on it and helping people understand the dynamics. In the U.K., they have a startup visa and they’re being very aggressive about enabling that visa to be used for immigrant entrepreneurs. In addition to the immigration policy dynamics, they allow programs like TechStars. If you get accepted, you automatically get a visa. Knowledge@Wharton: Speaking about TechStars, can you tell me about how you support entrepreneurship, not just in Boulder, but also in other cities? Feld: TechStars started in 2006. There were four founders — David Cohen, who is the CEO; a guy named David Brown, who was David’s partner in his previous business; Jared Polis, who’s now a Congressman for us in Colorado but at the time was a successful entrepreneur; and myself. We wanted to try create something in Boulder as an experiment to see if we could knit together the startup community, get more people in the community, and get more startups launched that had the engagement of the local community. We had a phenomenal experience with over a number of years and then started expanding geographically. The way we do it is that we have 10 companies per program location for a 90-day, three-month program. We fund them with US$120,000 each. So they don’t pay us, we pay them. We take some equity in their company in exchange, usually about 6%. Then the community acts as mentors. Entrepreneurs and service providers and investors in the community work intensely with these companies to help them accelerate their process. We’ve expanded to Boston. Instead of making it a closed thing that we control, we turned it around and made it of the city, of the community. So, the investors in TechStars Boston include both us and many of the angel and venture investors in Boston. Anyone who wanted to invest in it could. The idea is that it gave everybody a stake in the outcome. The mentors were local. As we expanded to other cities like Seattle, we played that kind of cycle again. The Seattle investors are angel investors and successful entrepreneurs and the local venture community. We’ve now got TechStars programs running in 10 cities. We have about 100 companies a year going through TechStars. We’ve expanded in New York, Boston, Seattle, and San Antonio, where we have a program called TechStars Cloud aimed at cloud computing companies, Chicago and London. It is also a very powerful way to engage large companies in building ecosystems around their products. So there’s something called the Nike Accelerator in Portland. Instead of having a Portland program, there’s a program with Nike, which is a very big company based in Portland. The startup community is supporting that as well as people in the vertical market that Nike’s going after. Knowledge@Wharton: You referred earlier to each city having its own unique environment and the TechStars program probably gives you a great vantage point to see the differences. What are some of the most interesting lessons you have learned? Feld: The label I put to describe the unique characteristics is “natural resources”. I use natural resources because most cities got created because of some physical natural resource. They were at the intersection of a river or had fertile land. Something caused people to say: “We’re going to build a city here.” Sometimes people just got tired of traveling from one place to another, but there were some natural resources. Over the past 100 or 200 years, most cities have developed unique physical, intellectual and cultural resources. Penn is a natural resource for Philadelphia. The historical context of the city is a natural resource. There’s a bunch of other things that are natural resources, including, for example, Comcast, which is a very big technology company that is based here. Entrepreneurs are attracted to the city because of the natural resources; they build businesses around those natural resources. If you go to New York, you see an awful lot of companies that are doing things in digital media, around fashion, around commerce, around banking. They are taking advantage of the natural resources of New York and New York City, which includes the intellectual natural resources that come from the population base. The mistake I’ve seen in so many places is that they ignore what’s special and magical about the city and they say: “Well, we’ve just got to do these things — boom, boom, boom, boom.” Actually, you want the magical stuff to come to the surface because that attracts new people to the city, it causes people to stay in the city, it gives people an understanding of the city. The punch line for all of that: I was in Miami the other day and they were talking about how to brand their startup community activity. And I said: “You already have a brand; it’s called Miami.” When somebody says Miami, they know what Miami means. Don’t create a new brand; just use the brand of the city you’re in to help people understand why it’s magical and special. Knowledge@Wharton: If Miami wants to enhance its own entrepreneurial ecosystem, what advice would you give its leaders? Feld: I would give the leaders four pieces of advice. The first is that you’ve got to make sure there’s a critical mass of entrepreneurs who are the leaders. You don’t need 100; you need a half-a-dozen. But you can’t do it with one person or two people. The second is that those leaders have to commit to a long-term journey. They have to be in it for 20 years. I like to say that I’ve been in Boulder 17 years and I’m not 17 years into a 20-year journey, I’m 17 years into a 37-year journey. You just have to have a long lens. The third is that you have to be inclusive of anyone who wants to engage at any level. Every now and then, you’ll bump into bad actors somewhere. The startup community is very efficient at either modifying the behavior of the bad actor or rejecting the bad actor without anybody having to pay much attention to it. The last is to create activity around the startups that engages everyone. A lot of entrepreneurs say: “I don’t have time. I’m too busy running my company.” Do things that enhance your company. An example: you need iOS developers and have a hard time recruiting them. Start a monthly tech meet-up for iOS developers. Have it in your office. Serve beer and pizza. Within a year, you’ll have all the iOS developers in the city in your office every month. All of a sudden, you’ll be that center point and the ability to recruit them will be that much easier.